How do you learn to write academically? How do you join the scholarly conversation? Pla(y)giarism, as it is often celebrated in poeming of the visual arts, is another form of stealing bases. Writing is an infinite series of translations. And translation finds the language of icon and image growing into worded language and back again. Academic writing is a genre of writing that allows experts/scholars in various fields to publicly discuss specific topics. Conversations in Canadian Literature have evolved since its inception in 1959 and themes and trends naturally reveal themselves over time. 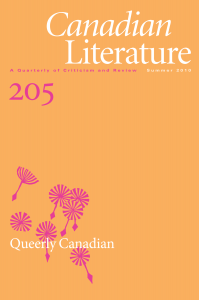 Recurring themes in the journal include nationalism, multiculturalism, First Nations’ identities, writers in society, gender studies, French Canada, Atlantic Canada, prairie writers, diasporic writing, and writing about nature. To join the conversation, you first have to read scholarly writing. It is a genre, and like any other genre, it has conventions and particular rhetorical devices. 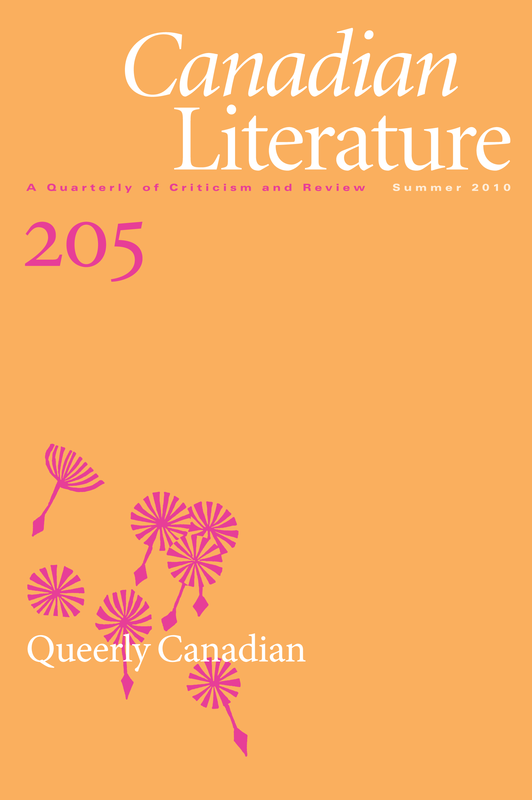 Grapple with the articles and book reviews in Canadian Literature . This will help you gain familiarity with the ongoing discussion. It is particularly useful to see a conversation evolve by sampling articles on a particular theme from across decades. Scholarly articles at the undergraduate level begin as an individual response to a literary work. Through the research, writing, and editing process, they become part of a scholarly conversation. As you read, jot down notes, mark significant passages, and then reread. Try to make sense of the work and think about the ways it has been read in the past: what does it mean and how does it express its meaning? The response can begin with simple questions— how? , why? , and so what? Asking questions is a way to focus your response and begin formulating a thesis—the topic with a point of view. From notes and answers to the questions above, craft a working thesis. This will be refined during the writing process, but you need a general idea of what you’re arguing before you begin writing. Do not wait to be surprised by your argument at the end of the writing process. Research your topic to find out what other scholars are saying on the topic. Online databases available through your institution’s library, such as JSTOR or MLA Bibliography, can be particularly helpful when searching for academic articles. Familiarize yourself with the resources and databases available to you as you search. Research can focus on author, literary work, relevant theory, or broad topic. Print out and photocopy articles where possible so you can highlight and make notes on them. As you read scholarly work, see where your ideas intersect with or differ from other scholars. These are sections you may want to cite later as you enter into the academic conversation through your writing. When close reading a text, you are attempting to figure out what is important, or at least interesting, about the work, and what makes it worth reading or studying. What do you want to say about the work? First, consider the following elements of a text. Think about which ones stand out, and what is particularly interesting about the way the author uses the element? What major tropes are used? Doing research on the topic and work in question will help you hone your ideas and develop your thesis. It is a good idea to do this early on so that you make sure you’ve considered all facets of your argument, including contradictory ones. Your thesis is your topic (i.e., trauma, war, love, mirror imagery, colours, queer subtext, realism, etc.) plus your point of view on that topic. Of course you are joining a conversation where people are skilled and learned on the matter so you’re not expected to come up with something completely ground breaking. That said, it is your particular point of view: the way you see it in light of existing scholarship you’ve encountered. Your readers want to read your well-substantiated thoughts and ideas. Introduction: One paragraph ending with a clearly worded thesis. The introduction contextualizes the central argument/thesis and provides your reader with a map of what you are saying, how you will be saying, and why you care. You need to explain why your particular argument is significant to your interpretation of the topic and the text. Body: The body paragraphs make up the majority of the essay. This is where the writer summarizes relevant scholarship and then elucidates her arguments. The paragraphs need to be ordered logically in order to best argue the thesis. Integrating Quotations and Paraphrased References: In an essay, quotations are used to show knowledge of scholarship and to support the writer’s thesis with relevant passages from the text under discussion. Skilled writers use a mix of short quotations and longer block quotations. Quoting is used to show that what you are talking about in your essay is not an idea in isolation. 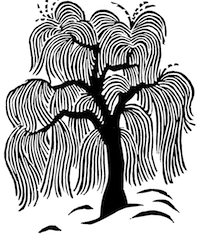 Quotations put your idea in context of the scholarly conversation. Use them enough to support your argument, without letting them dominate it. Never let a quotation make your point for you. A good rule of thumb is to spend at least the same amount of space discussing the relevance of a quotation as the quotation itself. Conclusion: The conclusion summarizes your argument and main points, and gestures beyond your essay to consider further discussion. You might choose to ask final questions or to draw possible links with other texts. While not going too far from your own discussion, the conclusion is a place to open up the possibilities of further conversation. Giltrow, Janet. Academic Reading: Reading and Writing Across the Disciplines. Toronto: Broadview, 1996. Print.